Christmas Tree in the office with the hamper donations. 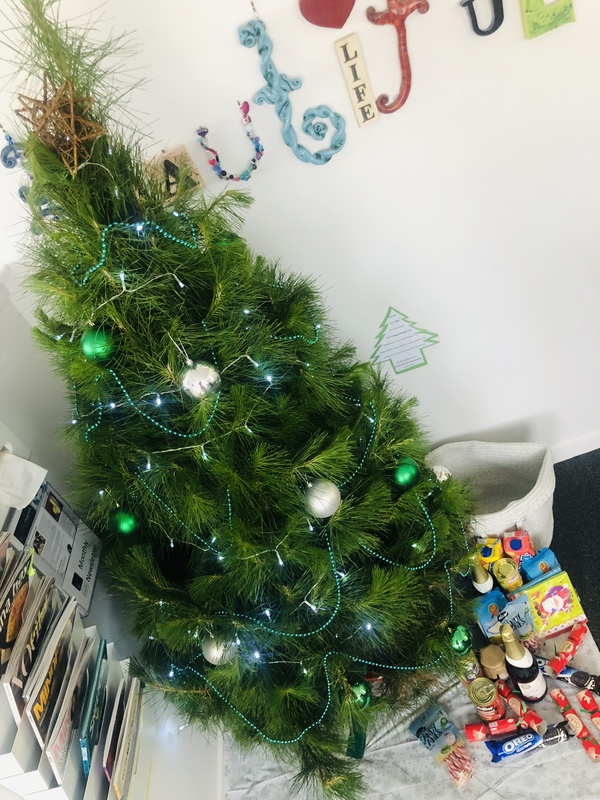 In the build up to Christmas, there has been lots going on in the office! We wish you a safe and happy Christmas, and would like to thank you for your continued support this past year, we truly value your loyalty and trust. On another note, we would like to remind you that the office will be closed for the Christmas Holidays from Sunday 23rd December and will reopen on the 8th of January 2019. Make sure you get yourself booked in for an adjustment prior to promote a stress free holiday. A reminder that we have started accepting contributions of non-perishable food items and Christmas treats for donation to a deserving family. Any donation will be gratefully received and can be dropped off in the hamper in reception on or before Saturday December 22nd. 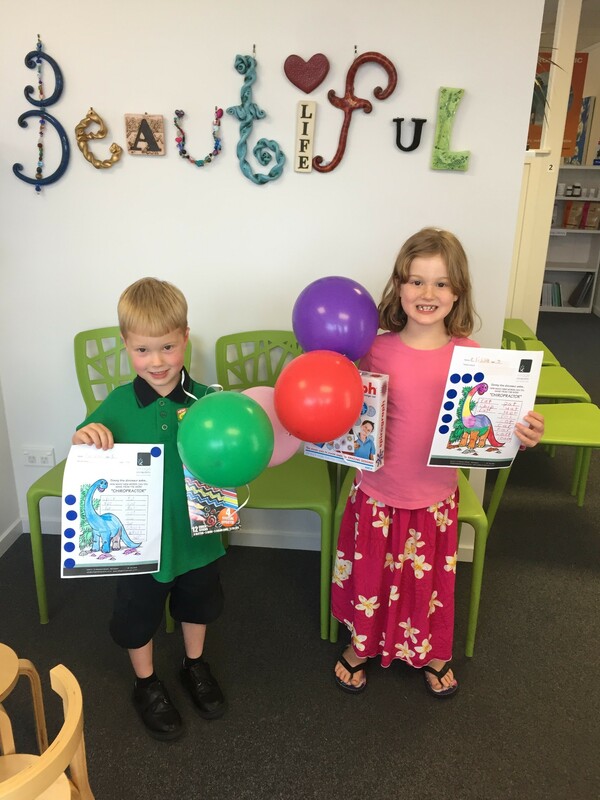 Over the past couple of weeks you may have noticed the colouring competition we held at the St Leo’s fair. Here are the faces behind the names, our winners Fletcher and Elissa! We are proud to have been a part of the fair which raised $33,000 for the school. Join us in training for and completing the Coastal Challenge starting in January to get your new year off to a healthy start. We will be training on a weekly basis walking around Devonport, and it would be great to have you involved. Dr Adrian, Tess, Gaynor, and Phoebe. Make sure you check out our instagram and facebook pages!